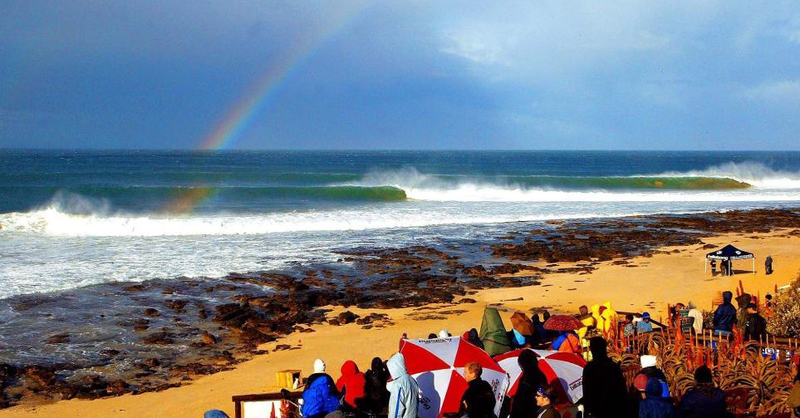 The J Bay Open, surfing's 6th stop on its WCT, begins this Thursday, July 10 in South Africa. It will be interesting to see what J Bay's iconic point break has in store for this year's edition of the event, featuring some surprises at the top of the rankings. Gabriel Medina and Michel Bourez, each with 2 victories in the first 5 events, sit 1 and 2 atop the leaderboard heading to J Bay. There's hardly been a time in the past years when Kelly Slater, Mick Fanning or Joel Parkinson hasn't led the tour, and this year may be a changing of the guard. Kelly sits near the top in third, but hasn't won any events yet. Neither has Parko, who's in 5th, and although Mick has a win, he sits back in 8th place. Check out all the action live streaming at the J Bay site.